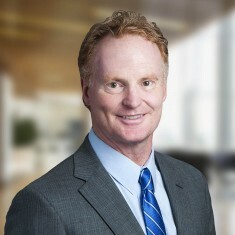 Frank Farrell is Senior Vice President of Leasing and specializes in office and industrial leasing. He currently leases a portfolio of 1.3 million square feet of office and industrial space. Frank is responsible for marketing, advertising, proposal and lease preparation and all related lease negotiations. He oversees budgeting, monthly reporting, tenant construction and tenant relations. He increased occupancy from 64% to 86% at Phoenix Office Park, a successful leasing effort that resulted in the sale of the park and a profit to investors. A 30-year veteran of the Atlanta commercial real estate industry, Frank began his career as a tenant representative with Richard Bowers & Company in 1986. Frank has worked directly for REIT owners – Equity Office and Highwoods – and preformed third-party and joint venture work for AEW, Lehndorf, DLF, Marcus Partners, OA Development and various private owners. Frank holds the distinction of being the #1 NAIOP industrial producer and the #4 office producer in the same year.